All the details of my circumnavigation are in the blog entries below, but here's the 'short version' in a one-hour video. 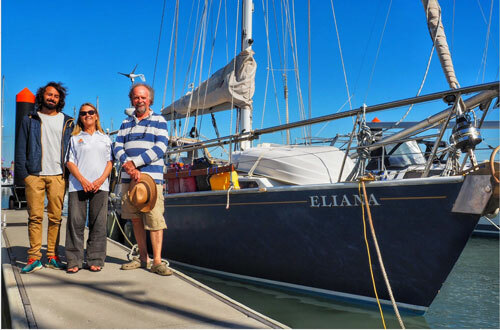 Eliana has completed her global circumnavigation . 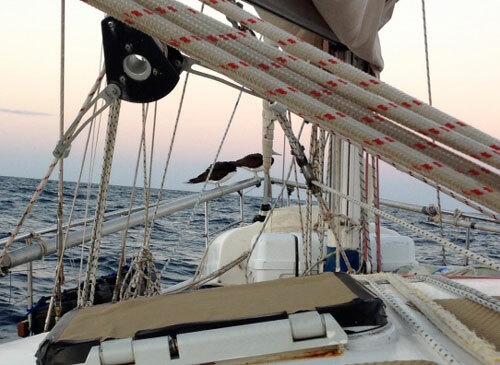 The last passage from Scarborough, Queensland was particularly frustrating waiting for suitable weather to get back to the Gippsland Lakes and took about four weeks. There are some magnificent destinations on the east coast and we were able to enjoy some of these even though our sights were set on getting back to Metung. Melbourne Cup Day was spent holed up at the South West Arm of the Royal National Park, Port Hacking and was enjoyed with the crews of the 75 foot aluminium yacht "Antarctic" who were headed for the Ross Sea via Hobart and Kittikana from Paynesville who hosted our Cup Day Celebrations. Jean Menzies joined me again as my "GS" galley slave and is very good at her job ! 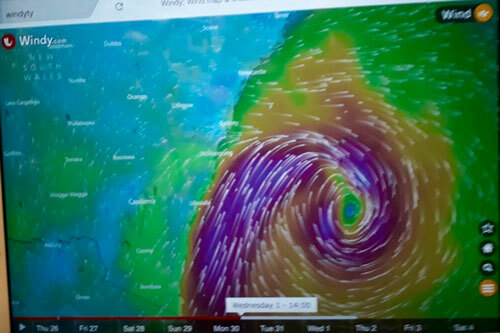 After waiting out two east coast lows, a storm force wind warning plus numerous gale warnings we left Port Hacking at the earliest opportunity when the east- north easterlies commenced and had an easy run down the coast crossing the Lakes Entrance bar in ideal conditions on Saturday 11 November 2017 having left in March 2013. 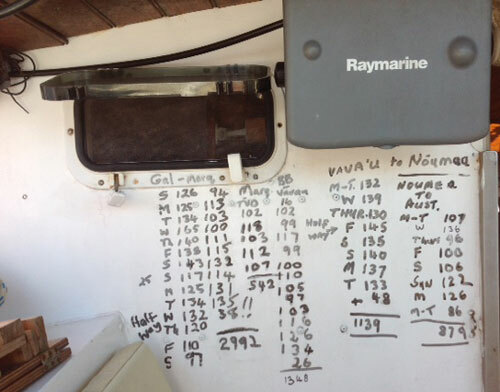 We have sailed just under 28,000- nautical miles around the world. 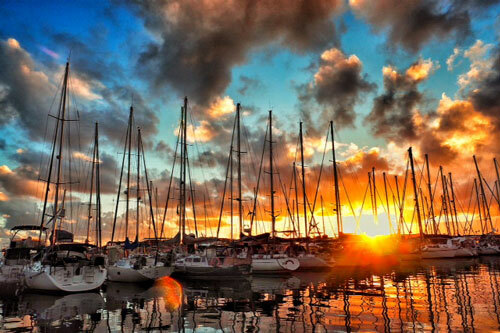 Eliana, crew and I arrived yesterday safely at Scarborough Marina on the Redcliffe Peninsular Queensland, having sailed down from The Port of Bundaberg. It was a relief to get here as the crew, an old friend of mine from up here was totally unsuited to shipboard life. While most coastal cruisers take the passage down the inside of Fraser Island then have to wait for suitable conditions to cross the potentially dangerous Wide Bay Bar we went around the outside of Fraser Island and down the coast into the top of Moreton Bay as we had an ideal northerly wind behind us. In these conditions it was far quicker, easier and I believe safer to just to go north of the Breaksea Spit and down the east side of Fraser and into Moreton Bay. We had a pair of Boobies who hitch hiked a ride on our pulpit for the whole night. I was very tempted to continue on down the outside of Moreton to Southport which would have been far easier ,safer and less stressful than negotiating busy shipping channels at night, trying to slow the boat down with a strengthening wind behind us in order to arrive in daylight to negotiate the Skirmish Passage at the bottom of Bribie Island in daylight and with sufficiently high tide in order not to run aground. However, I had a number of reasons for bringing the boat here where I will leave her until October. It was slow and painful not taking full advantage of the northerly as Eliana proceeded past anchored ships and others passing either side of us but we proceeded at 2-3 knots with a triple reefed mainsail only, sheeted hard amidships and the motor in reverse ! 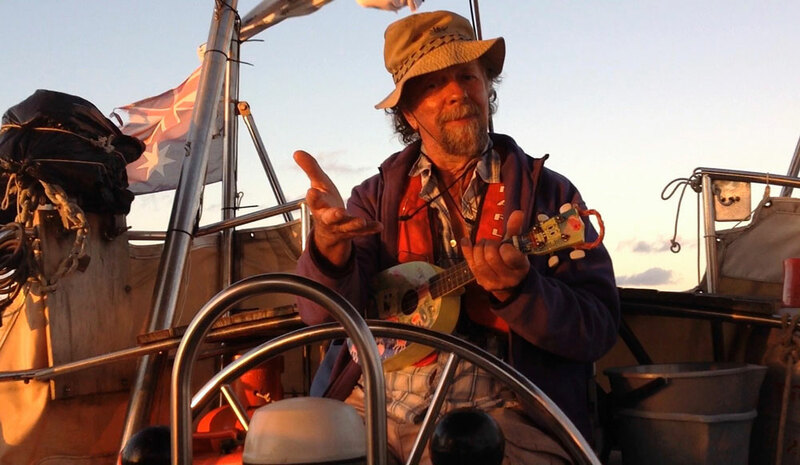 Once daylight appeared at 0530 I was able to relax a little, take the shipping channel then the Skirmish Passage on a rising tide and around the bottom of Bribie Island into Deception Bay and down the channel into Scarborough Marina where I had been four years earlier. 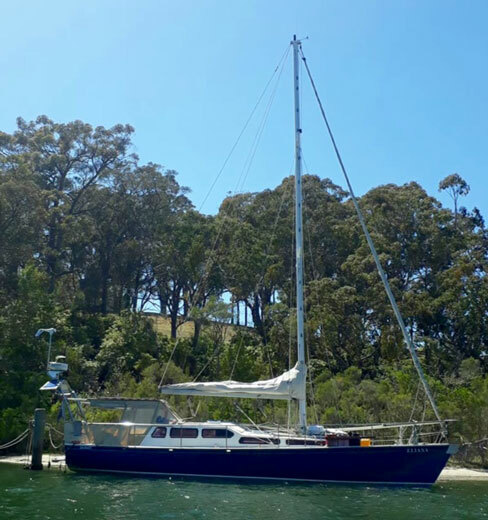 Tony Gibbs who built Eliana lives here and I hope to catch up with him soon and have a few drinks at the Moreton Bay Boat Club next door. Last night after heating up some left overs and drinking the last of the excellent "Chirping Bird" Shiraz which a fellow yachty, come winemaker from Mornington kindly gave me at Bundaberg, I was too tired to go and have a much needed shower having had only about seven hours sleep in the last two days so collapsed into my bunk. This morning the southerly wind is with us as the B.OM. predicted and after some thunder showers last night the sun is out again. It's not as warm and relaxed as Bundaberg but my beloved boat is another step closer to getting home. 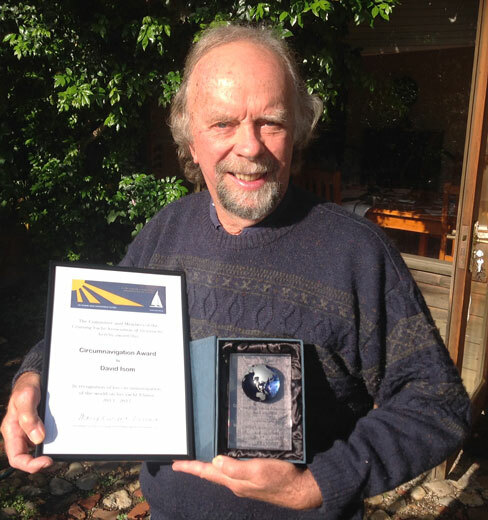 I recently had the following article published in Ebb Tidings, newsletter of the Cruising Yacht Association of Victoria. The Marquases Islands are well deserving for being considered some of the most beautiful, visually stunning islands in the world. Lush green tropical forests with dramatic peaks and remnants of volcanic activity, sheer rock pinnacles, rivers, creeks and waterfalls hundreds of feet high make these islands very special. The local villagers are friendly and generous beyond their means commonly making gifts of fruits and fish and refusing payment for them. 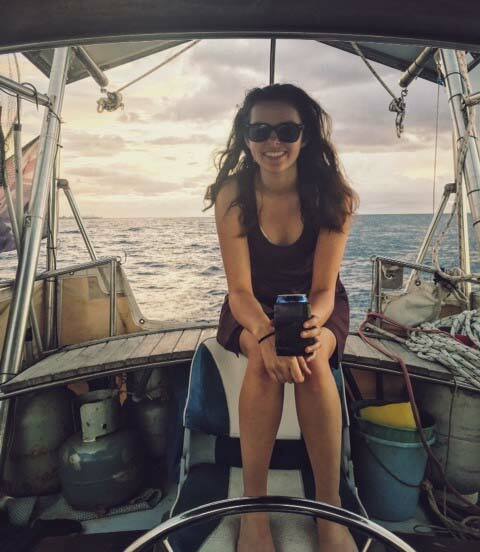 So it was hard to leave but with elder daughter Ellie coming to Tahiti it was time to push on. 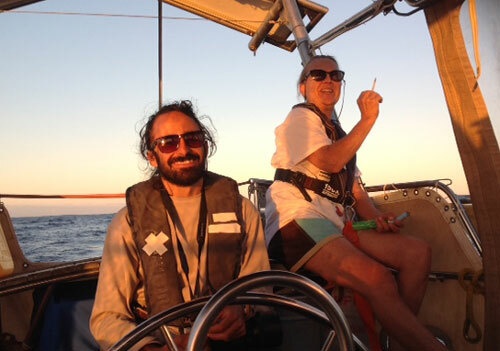 I still had my "galley slave" Jean whom I'd felt sorry for when she was thrown off another Aussie yacht for being "too quiet". I like quiet ! Besides, she was a Master 4, and a handy cook who didn't seem to mind washing dishes ! 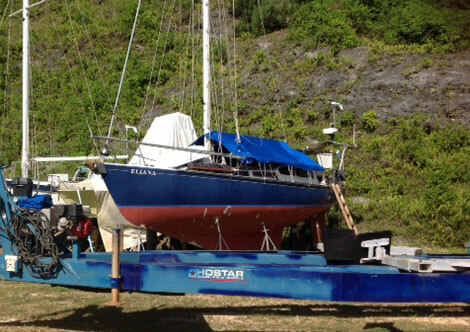 Nuka Hiva has a lovely big harbour well sheltered, plenty of room and no surge as in Hiva-Oa. Leaving there we headed off towards the Tuamotos also known as the "Dangerous Archipelago" because of all the reefs, currents, winds and questionable accuracy of charts making it difficult navigation for ships of old (and new) . It was 549 nautical miles to the little bay inside the reef at Toau , called Anse Amyot which had been recommended by a couple of people and on "Noonsite"and was not tide dependant for entry so after variable conditions for 5 days we entered the tiny bay on the edge of the reef and took up a mooring belonging to the owners Valentine and Gaston. ​We had been having much trouble starting the engine so next day covers were pulled off and the starter motor removed having cleaned all the leads and electrical connections. After stripping and cleaning the solenoid twice and reassembling it correctly on the second occasion we were just able to start the motor with the help of an additional battery salvaged from the bilge and wired up in parallel with a cut off switch to isolate it when not being needed. A wonderful meal was had on shore at the tiny bar- restaurant hanging over the water. To my chagrin live crayfish were sliced in half and barbecued in front of us and the usual cruiser stories were swapped with the small international group there. 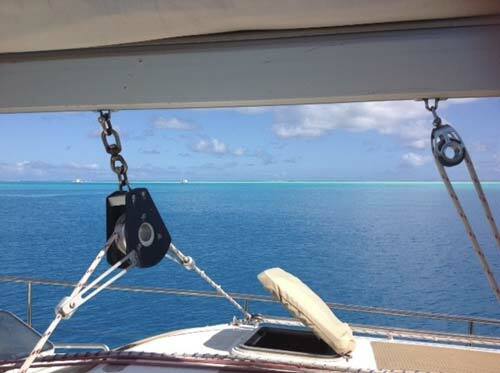 After a few short days it was time to head down to Tahiti a voyage of only 220 miles but one of the most unpleasant of the whole trip so far. As it had been quite windy a big nasty cross swell was running with winds up to 38 knots, squalls, heavy rain and boat speed to 8.2 knots making movement around the boat difficult. As we approached Point Venus where Captain Cook had observed the transit of Venus the night lights of Tahiti disappeared in blinding rain squalls. Coming around the point and into the lee the seas were much calmer but there was still heavy rain and wind to 30 knots. With chart plotter with radar overlay plus a dodgy depth sounder we crept up in the dark anchoring at a conservative distance off shore before collapsing into our bunks. The next night it blew hard and the catabatic winds came howling down the valley along with heavy rain. Early next morning there was a knock on the hull which turned out to be our Canadian Friend whose yacht had dragged anchor in the night just missing a superyacht and its tender launch. So Ellie and I headed off in the dinghy and rain to help him bring his boat over to a mooring near us . Next night we were invited for another delicious Chinese meal with the French Canadians before heading back to Papeete and the downtown marina which was right in the middle of all the action. Unfortunately, Ellie had to get back to Aus so after the first night of the "Puddle Jumpers" celebrations and a night out with the yung'ns off she flew. 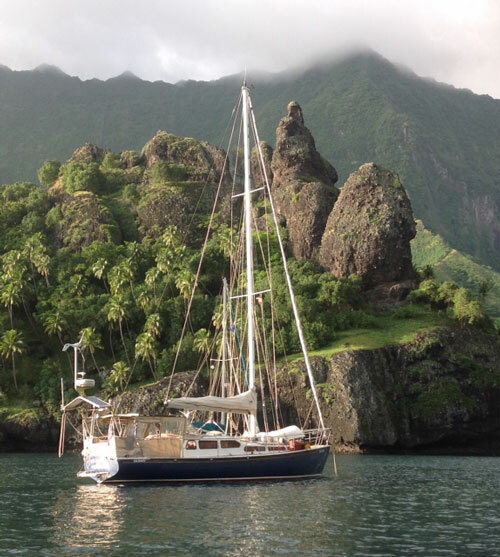 Puddle Jumpers is basically a get together of yachts heading westwards across the South Pacific and put on "Rendevous from Tahiti to Moorea " with about 50 vessels joining in the fun race. Then at Cooks Bay Moorea , there were dancing displays, music, demonstrations of tying a sarong, outrigger races and competition trying to lift a 50 kilogram rock to your shoulder which I decided to pass on, and much more. Naturally there was a Polynesian Feast and wonderful dancing by Tahitian woman. No wonder Fletcher Christian and some of the Bounty crew did not want to go back to England ! Back at the very handy downtown marina our new neighbour arrived. 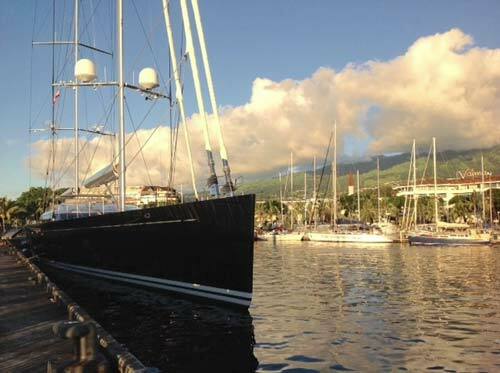 That was "Vertigo" Rupert Murdoch's Superyacht. At 66 meters it is the biggest yacht built in the Southern Hemisphere constructed by Alloy Yachts New Zealand. One can't help being impressed by the sleekness, beautiful design and pure feats of engineering in this massive yacht. For example no unsightly anchor was to be seen. I guess it was deployed from a watertight compartment internally Papeete being colonised by the French has wonderful bread and pastries to die for. Long Baguettes were only 50 cents so armed with these ,French wine and cheeses plus fresh provisions from the local market we headed out for Bora Bora 150 miles away. 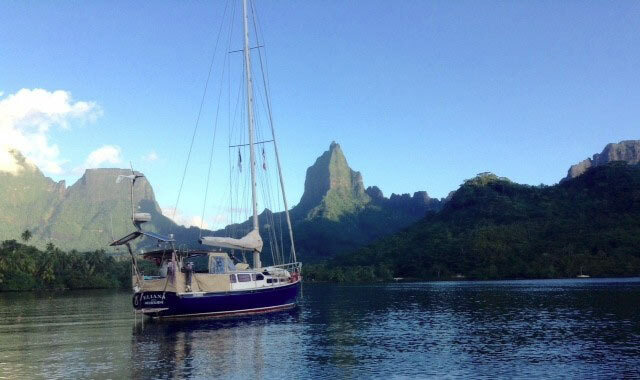 After picking up a mooring in front of the very quiet looking Bora Bora yacht club an American couple we'd met at Anse Amyot suggested a better spot where we could anchor for free. This turned out to be a very sheltered little nook with crystal clear water close to where we could swim with Manta Rays, sharks ( argh ) plus an assortment of tropical fishes. It was also where the local commercial dive boats bring the tourists to feed the fishes and sting rays which are very....too friendly. As they brushed against me I thought of poor Steve Irwin and kept well away from the Rays leaving them for the foreign tourists who probably didn't know of Steve's fate. 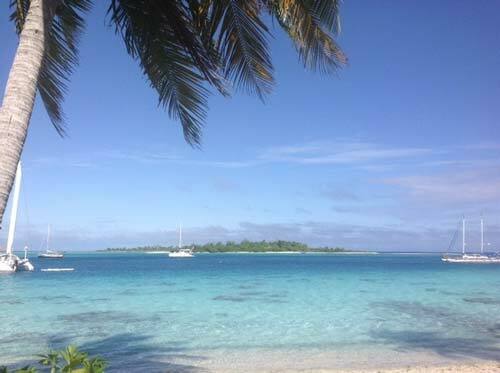 After a few delightful days it was time to head for my favourite place in the South Pacific, Vava'u , Tonga but you'll have to wait to hear about that.